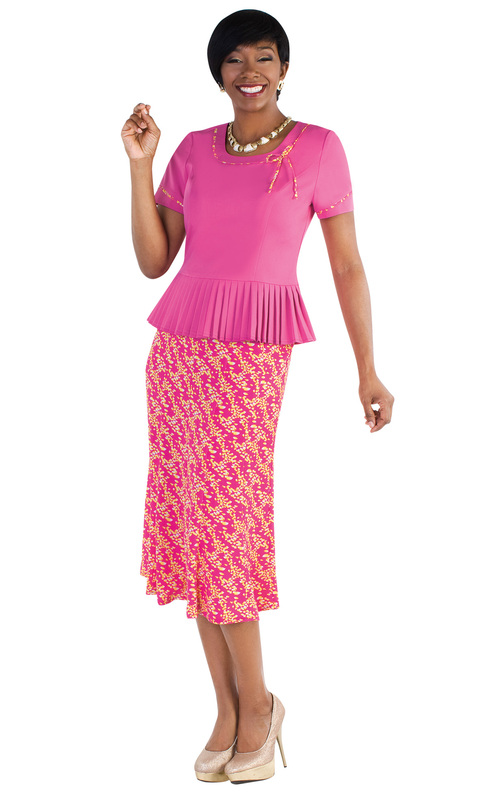 1pc Women's Dress in geometric print, peplum waist, pleated hem and fabric rosette brooch. 2pc Women's Dress in gradient dot pattern and floral print with button closure jacket. 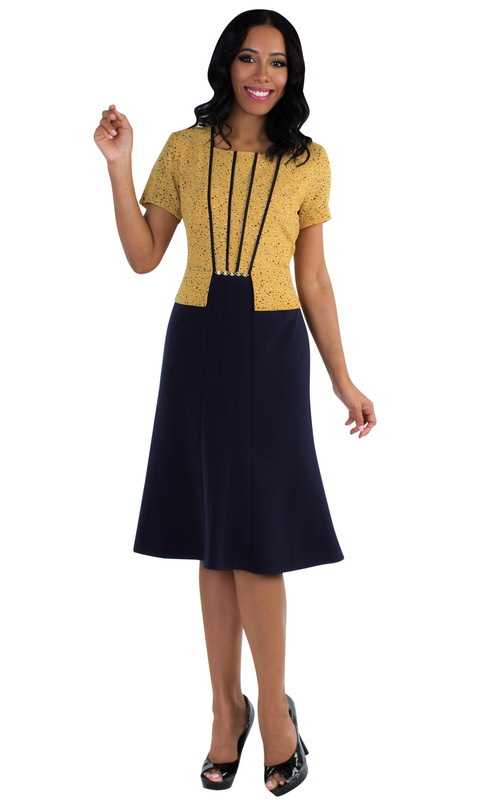 1pc Women's Dress in stripe and floral print with fabric rosette, ruffle detail and button embellishment. 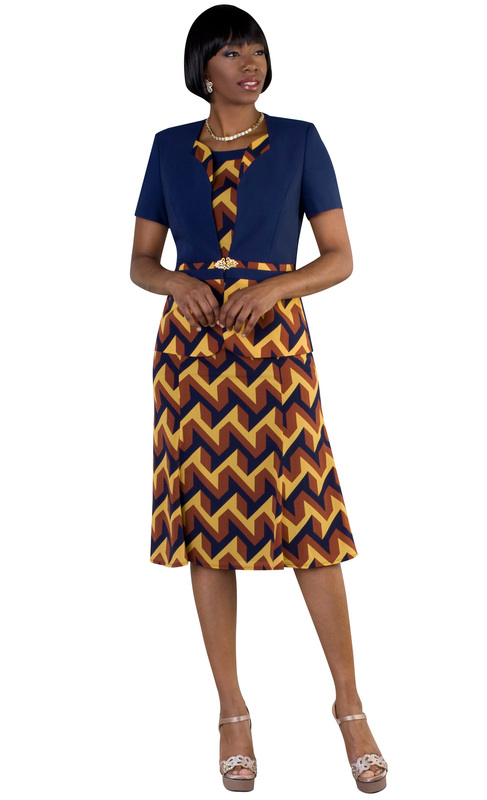 2pc Women's Dress in geometric print with jacket and rhinestone buckle. 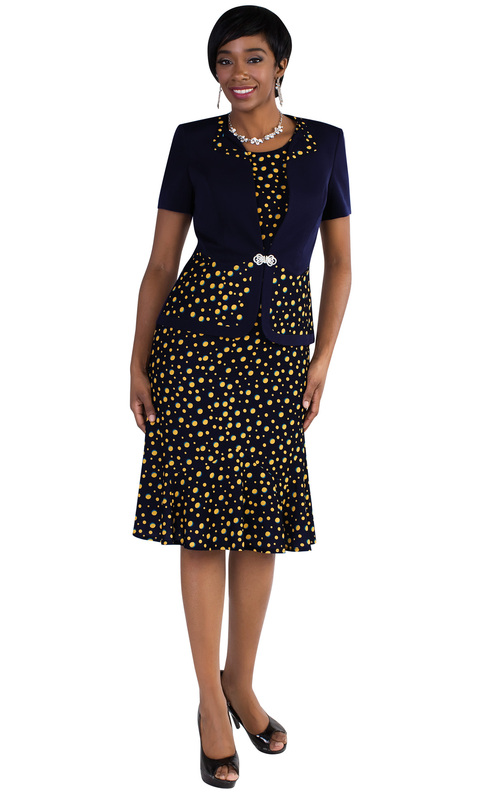 1pc Women's Dress in floral and polka dot print, peplum waist and rhinestone button accent. 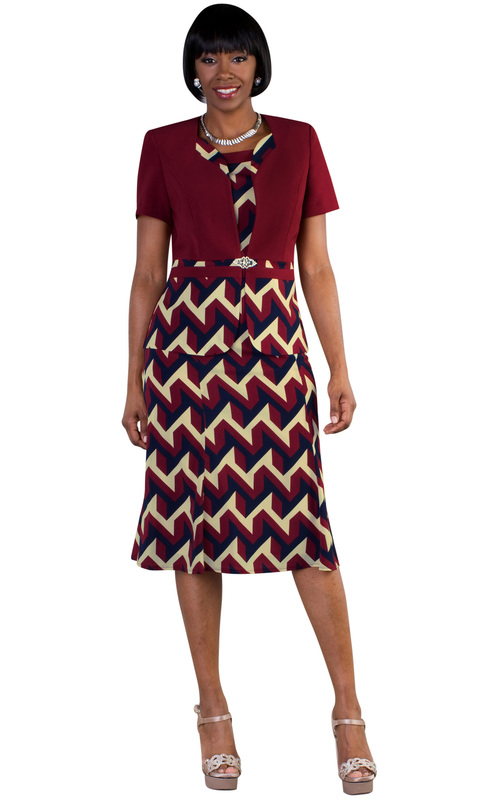 2pc Women's Dress in geometric print with flare hem and rhinestone buckle jacket. 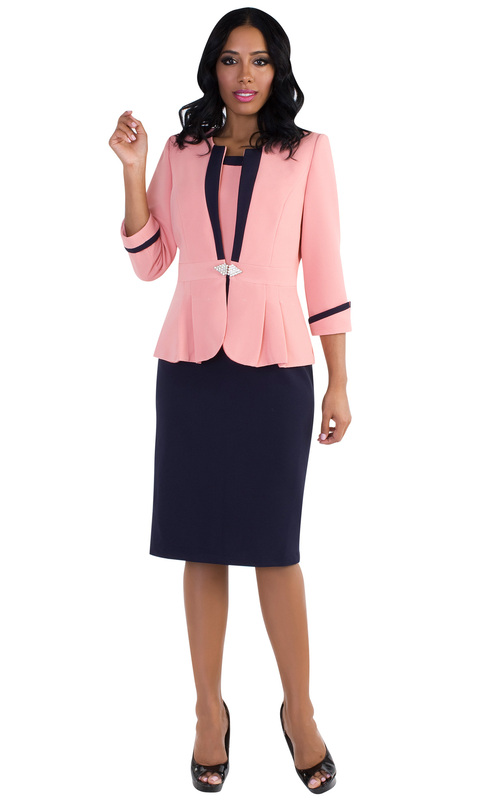 2pc Women's Dress with contrast trim jacket and rhinestone buckle closure. 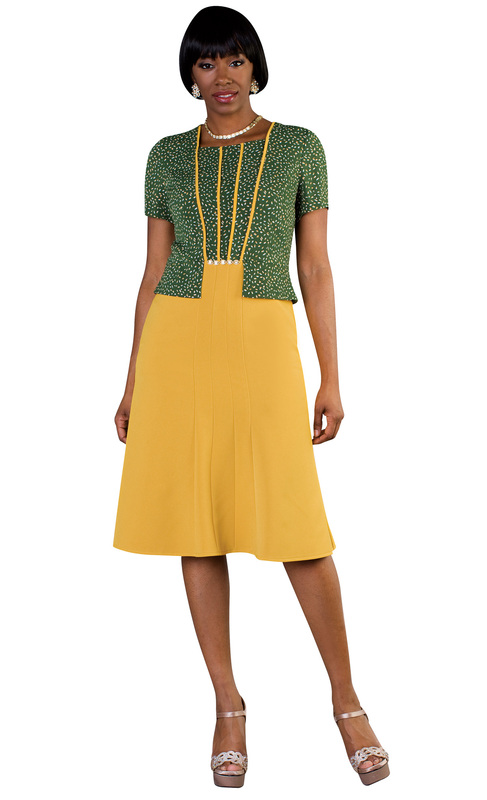 1pc Women's Dress in mini-leaf pattern with pleated hem, peplum waist and rhinestone accent. 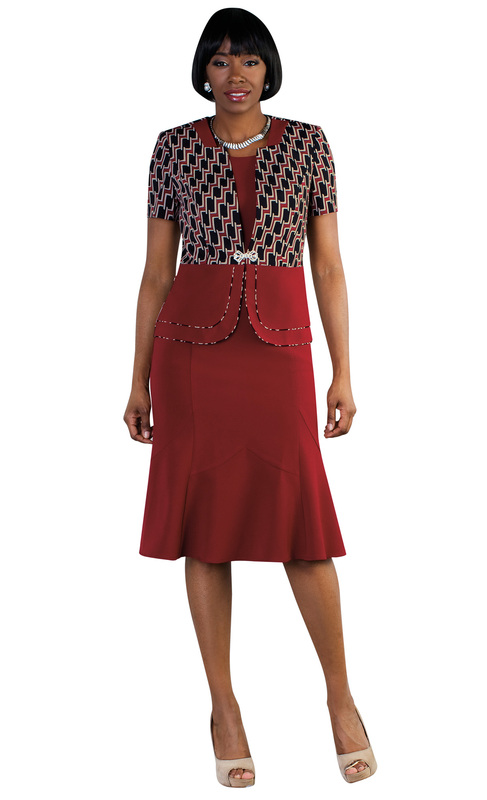 2pc Women's Dress with scallop pattern jacket and rhinestone buckle. 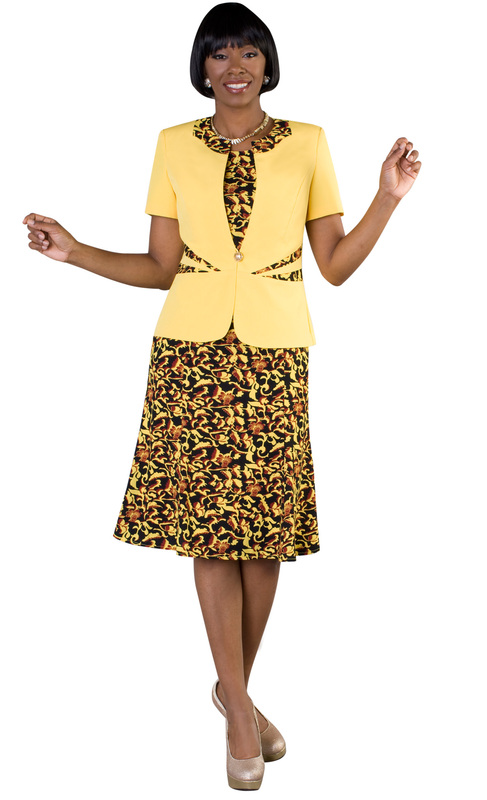 2pc Women's Suit with pleated peplum top, bow detail and floral pattern skirt. 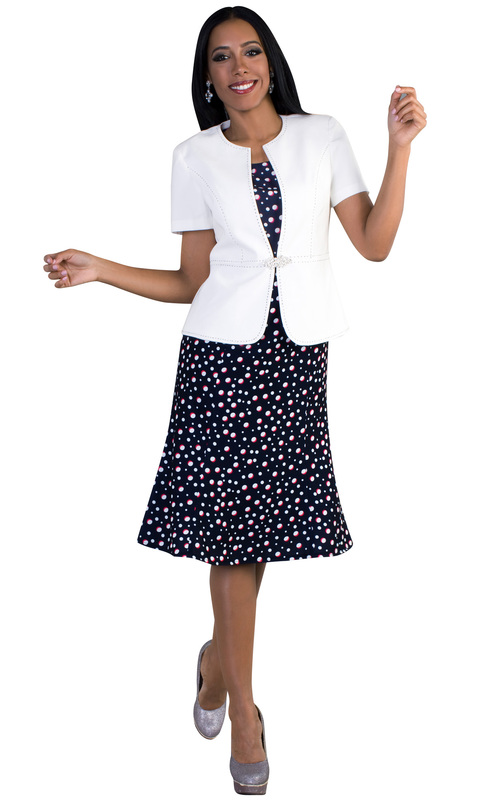 2pc Women's Dress in polka dot print, and solid jacket with contrast stitching and rhinestone buckle. 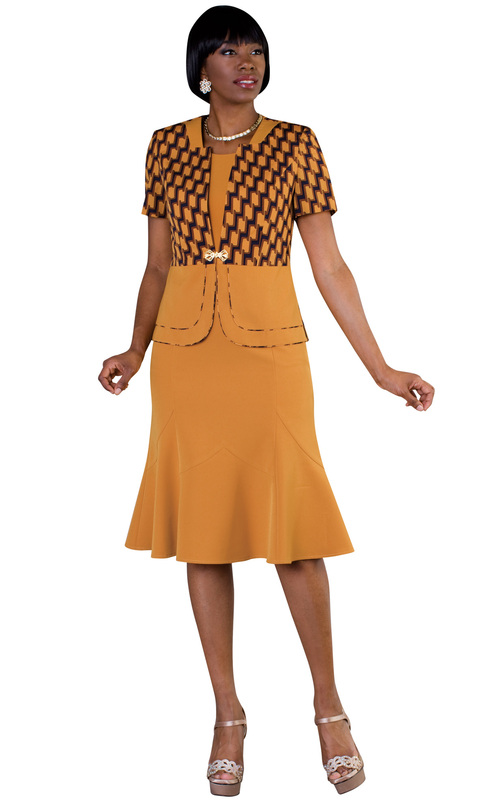 1pc Women's Dress in animal print, peplum waist and belt. 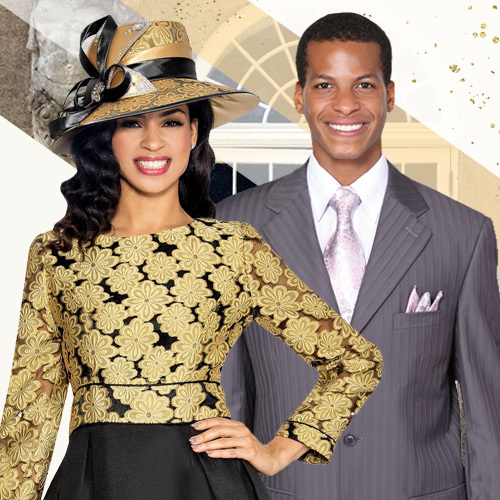 2pc Women's Dress with stripe scoop neckline and rhinestone embellished, striped jacket with rhinestone buckle. 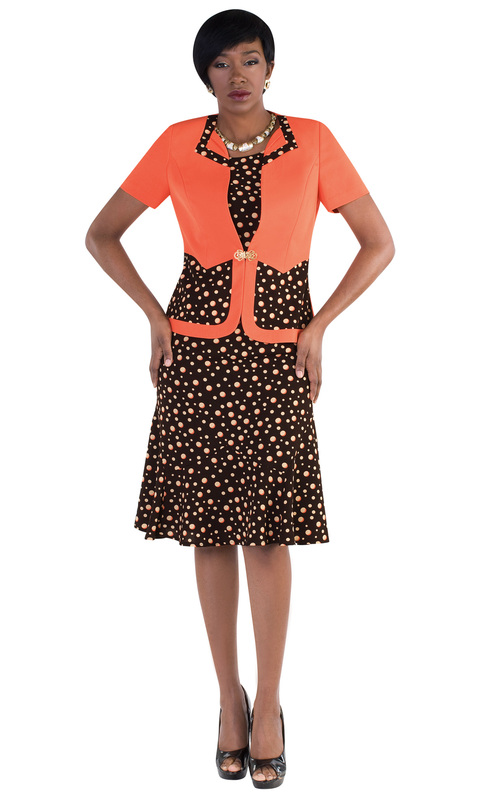 2pc Women's Dress in polka dot pattern with jacket and rhinestone buckle. 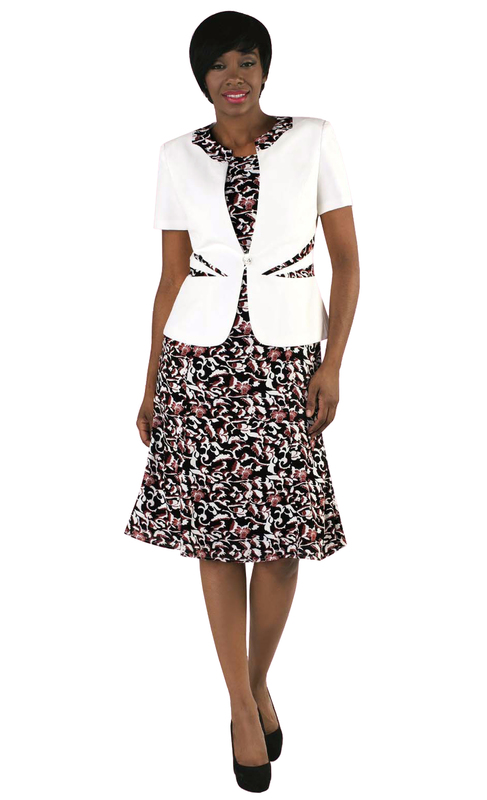 2pc Women's Dress in floral print with jacket and rhinestone button closure. 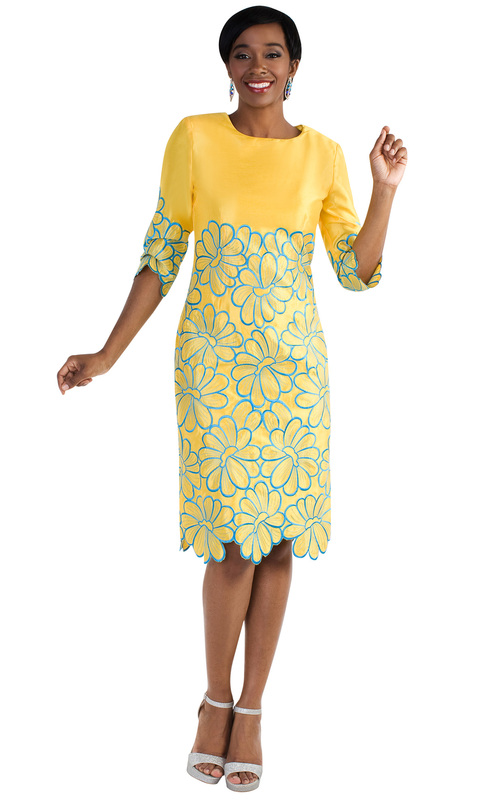 1pc Women's Dress in floral pattern embroidery.